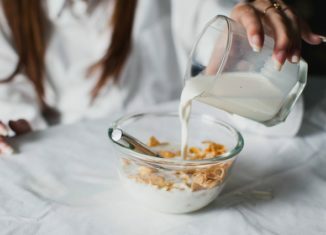 Breakfast is often considered to be the most important meal of the day, and for a good reason. It is the first touch of food which pulls in your metabolism. It provides you the first rush of energy to pull off a long day at work or at school. 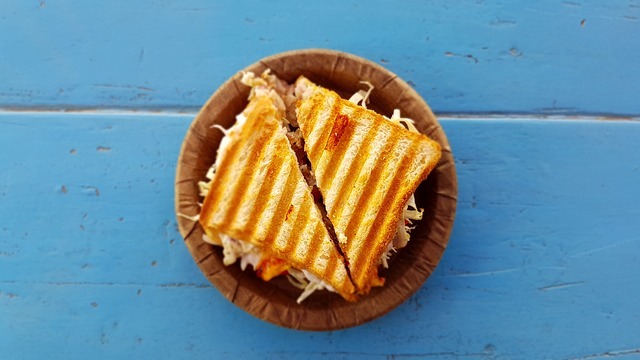 As more and more people turn vegetarian, while understanding the major impact and humanitarian aspect involved in the production of meat-based meals, there are more and more reasons to enjoy a green meal. Here are ten ways to do this. This is one of the easiest recipes. Grab some tofu, season it down to perfection and place it between mayonnaise or cheese and lettuce smeared pieces of bread. Grill the product and you will have grilled tofu sandwiches ready in no time. 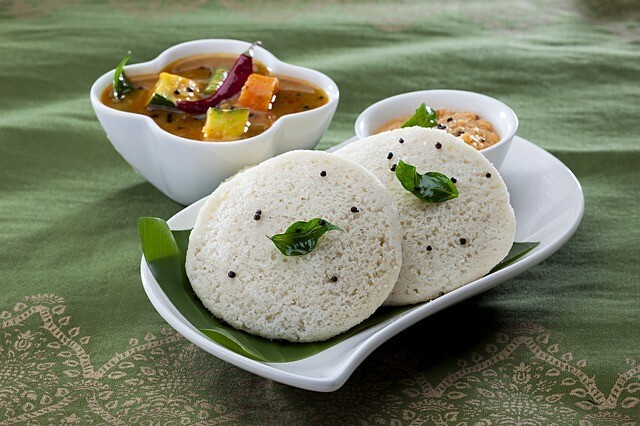 The south Indian breakfast often contains idlis, which are small, saucer shaped rice breads, and coconut chutney, which is a mildly sour and savory coconut paste with the least spices available. You can try out this and many other similar recipes at this website. Poha is a traditional central Indian dish consisting of flattened rice with basil leaves and a dash of lime. It is considered healthy and is common in many Indian households. Poha is said to contain a large number of necessary nutrients – making it a perfect balanced breakfast. Try this one at home – and you will sure prefer poha over your daily porridge. This healthy and delicious sandwich can be prepared easily by taking two slices of bread, stuffing them in between with tomatoes, spinach and chopped mushrooms, and adding salt and pepper to taste. 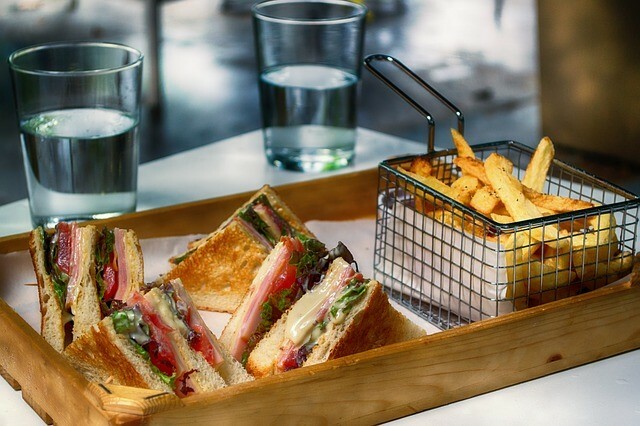 The sandwich comes to your rescue when you are running short of time but are craving a meal anyway. The simplest and yet the healthiest of all the breakfast ideas is a simple fruit bowl. 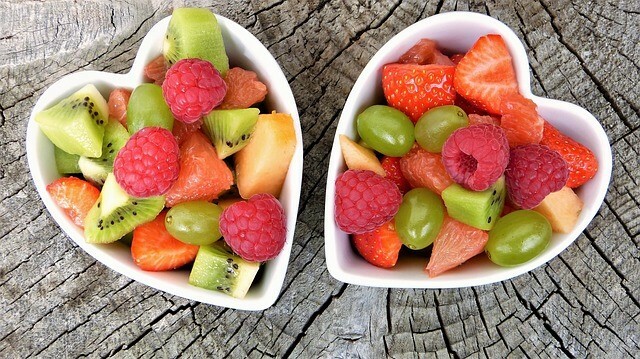 However, even when preparing your fruit bowl, you must remember to add in the right assortment of fruits. For example, a fruit bowl of watermelons won’t be as effective as one with a generous mix of several other types – an apple, grapes and even a banana. Have the right berries and cherries in there? Talking of berries, why don’t you look at something you will enjoy? Try making this lovely berry and oatmeal smoothie. Stir it to perfection and to taste, while ensuring that the oatmeal and berries have been turned into a fine and thick liquid. The result will be a healthy and filling drink. Pancakes are a universal favorite. 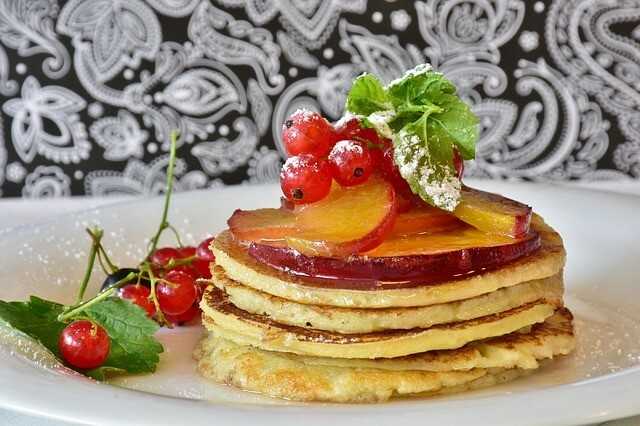 Though often made with eggs, these whole wheat pancakes can be prepared without the addition of any eggs and they still seem so lovely to taste. 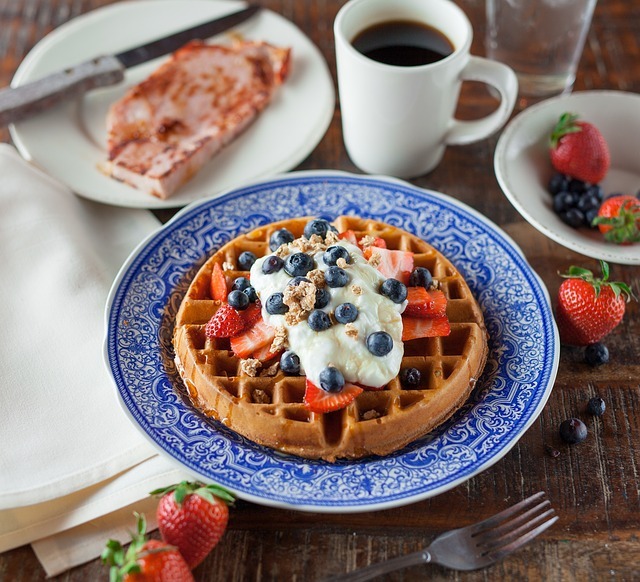 Add some honey, pour some butter and savor the taste of a sumptuous breakfast. 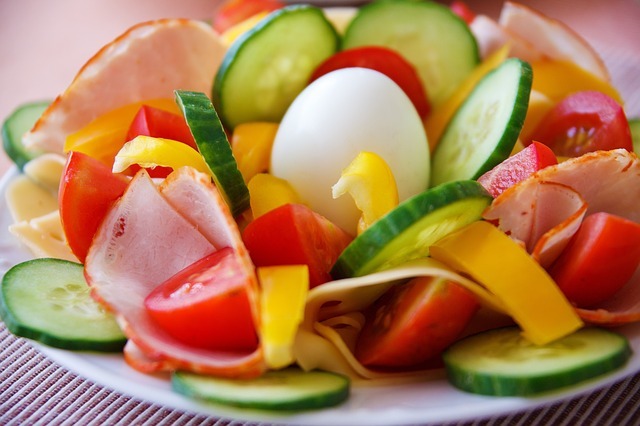 Salads are a frequent choice among health-conscious people. Add the lettuce, chop in some pasta, bring in tomatoes or cucumbers and stir it all in with some mayonnaise, salt and pepper. Salads are both filling and healthy, so you don’t have to worry about gorging on anything on the way to work. Waffles are simply fancy pancakes. Before you bake them though, remember to add some blueberry jam on them. Sprinkle the oatmeal, which should be finely crushed. Your meal is now ready for consumption. Zucchini is a favorite among veggie lovers. Add this to your daily dose of boring muffins and bring out something completely unique. Zucchini muffins are innovative and wonderful – they keep you healthy, happy and totally full. As you can probably see, greens can be made innovative too! Non vegetarian meals come with some health benefits – even having an egg a day for breakfast can increase chances of heart risk, according to new research. Go green and help save innocent animal lives, while fulfilling your dietary needs perfectly well.